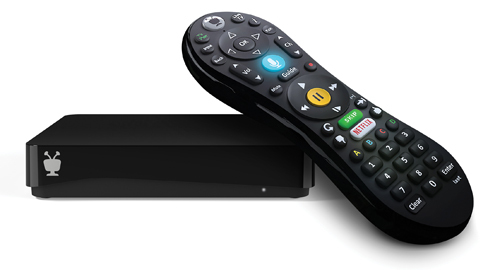 TiVo Mini VOX 4K. Does not need additional service (service is based on the TiVo to which this is linked). Delivers live TV, recorded shows and web entertainment to another TV in your house. Requires TiVo with four or more tuners. Wired connection to TiVo and Mini required. Includes TiVo 90-day warranty. Extended WeaKnees three-year warranty available (Click here for terms).